The Micon IP-320E iGuard 320E IP/Network Camera features a 2-port network video server as small as a deck of cards, but functions as powerfully as any dedicated computer-based video streaming system. The iGuard is the only IP camera solution on the market today that has a built-in expansions port to which a large selection of USB cameras can be attached. 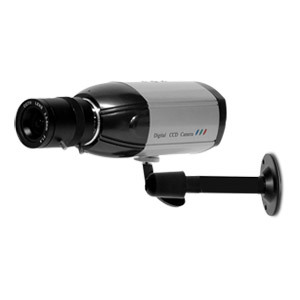 With its upgraded web-video-server, the iGuard IP camera allows the user to stream video to the Internet through a wired or wireless network and record images directly on to an attached USB drive or to the hard-drive on a remote PC. The included iGuardView PC based client software allows the user to monitor and record multiple cameras on one PC.